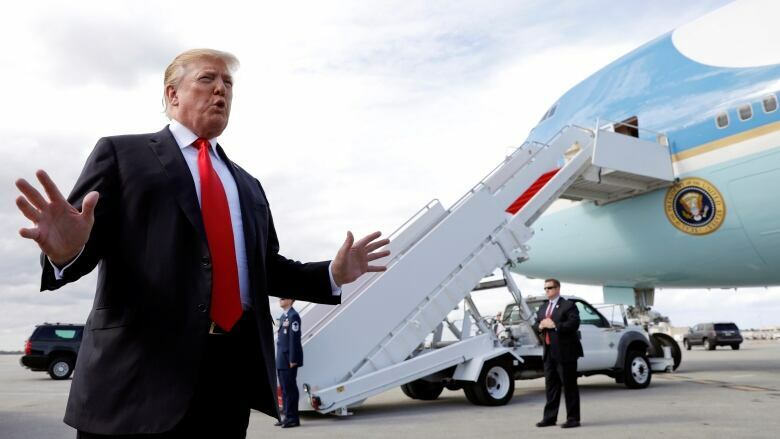 Special counsel Robert Mueller's report found insufficient evidence that U.S. President Donald Trump's campaign conspired with Russia to influence the 2016 election. But on obstruction of justice, the report does not exonerate him. We examine the reaction, and ask what happens next. The delivery of U.S. Special Counsel Robert Mueller's report will have a "very interesting" effect on the Democrats' strategy for the next election, according to a conservative political commentator. "There's been a sense that Robert Mueller was somehow going to be a magic bullet for them, that it was going to guarantee that they win the election," said Charles Sykes, author of How the Right Lost Its Mind. "That is obviously not going to happen," he told The Current's Anna Maria Tremonti. "They need to realize that if they're going to get rid of Donald Trump, they're going to have to do it the old fashioned way, through the ballot box." 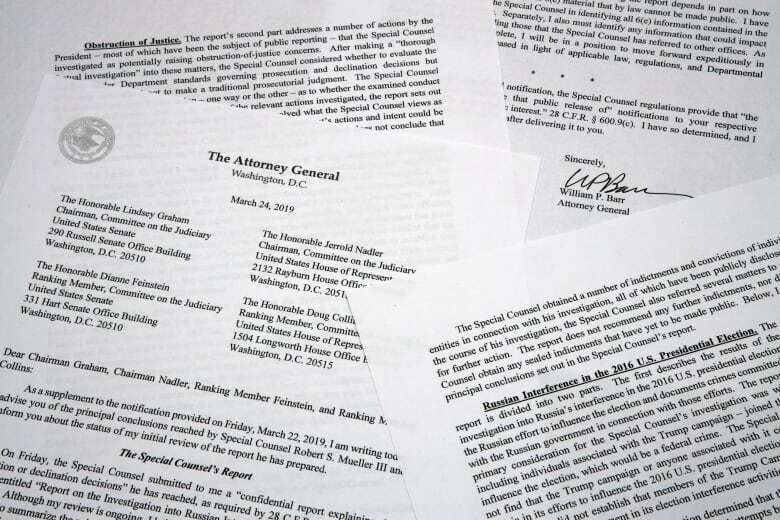 Mueller delivered his report Friday. A summary of the main findings, released to Congress on Sunday, stated that Mueller's office had insufficient evidence to establish that U.S. President Donald Trump's campaign conspired with the Russians to beat Hillary Clinton in the 2016 election. When it came to obstruction of justice, however, Mueller wrote that "while this report does not conclude the president committed a crime, it also does not exonerate him." Democrats are now expected to demand the release of the full report, and could call Mueller to testify. Reacting to the report, Trump declared "complete and total exoneration." Calling the investigation "an illegal take-down that failed," Trump hinted at a new investigation into "the other side" and how it began. Sykes said he expects to hear a lot of "bluster" about such an inquiry from the president. "I actually would hope that calmer heads would prevail and that we not launch what would really be a witch hunt," he said. Republicans will be "relieved that they don't have to defend this," and will "rally around the president," he told Tremonti. However, he warned that "the devil's in the details." "When we see ... the narrative about the obstruction of justice and the relationship with Russia, I think that is not going to be that flattering to the president and his team." Emma Loop, a Capitol Hill reporter with BuzzFeed. Written by Padraig Moran, with files from CBC News. Produced by Idella Sturino.